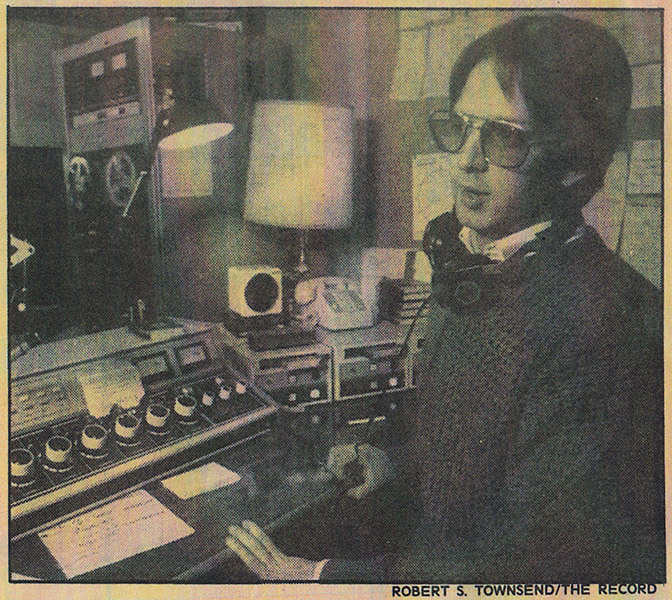 From a newspaper article published by The Record in December 1989, Joe Schilp in the new control room for LaserHits 89 PSC. Original Caption: "No rest for the weary at WPSC. Since William Paterson's campus station went FM, general manager Joe Schilp hasn't had a day off.